I am posting form data to a URL using VBA from MS Access. However, I need to end up on the URL that I'm posting the form data to and I can't seem to do this since the url ends in .php. How do i land on the same URL that i just posted to? I have a VBA add-in that works fine on lots of different Windows PCs. Microsoft's help page that this message links to simply states "Visual Basic encountered an error that was generated by the system or an external component."! Compiler error. Out of memory. I have issolated it to a specific model of Dell XPS laptop but they are well spec'd with Windows 10 Pro 64 bit, 16GB RAM and 2.2 GHz Intel Core i7. The project has many modules/userforms/classes so it's not possible to post all of the code here, or even easily issolate where it's going wrong due to the nature of the error messages and behaviour of VBE after dismissing them. I have a query asking for a parameter to be keyed in. I have a simple Update query and I can not understand why I'm getting this parameter request. 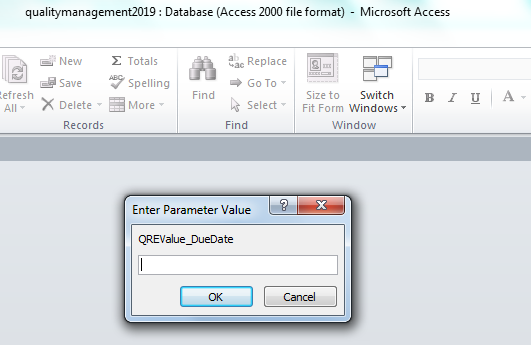 When I call DoCmd.OpenQuery "qCreateOeReportDueDate" I am getting the "enter parameter" request as seen in the picture attached. What is triggering this request? What prerequisite is not being completed to trigger this? CurrentDb().TableDefs("ProblemLog").Fields("SkpiProblemLog_Date").Name = "Occurance Date at Customer"
CurrentDb().TableDefs("ProblemLog").Fields("TagNumber").Name = "Customer Claim #"
CurrentDb().TableDefs("ProblemLog").Fields("QPRQPINumber").Name = "Other Tracking #'s (RMA#, SLIPS#, e-CIMS, etc)"
CurrentDb().TableDefs("ProblemLog").Fields("Quantity").Name = "Final Reject Qty"
I have an MS Access database and need to interface with a C# DLL that is about to be created for me (as a COM object). My C# guy has no experience in interfacing with MS Access, and I have only interfaced Access with COM objects that I have purchased (EASendMail etc). We have run a few tests, and I can half interface with his test DLL (once referenced), but the Intelisense isn't working correctly. However, whilst I am sure that we can overcome that one easily enough, it's the return messages that I am struggling to get my head around. How do I tell Access to listen for them and then, trigger an event/function? I know this is a little vague - but I could really do with some pointers to get started. How to produce a specialized Microsoft Access query that produces matching start of data throughout the values? Let's say I have two tables: TableA and TableB - FieldA has some values similar in FieldB and I want to do a compare. The problem with TableB and it's FieldB - the values are longer than what's found in TableA, FieldA. These match because the first set of characters match- from the start of the value. How would I go about creating such a query in Microsoft Access? Hello. I am trying to Capture Style Header Data In A Variable using VBA. I have code that I am using to Loop thru a Word Document. I am looking for all "TBD"s Ex. 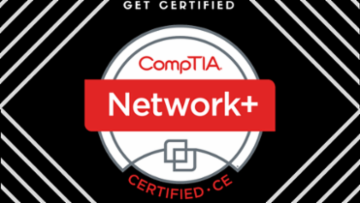 <TBD 6.1>. I have the code to find the TBD. I look for it 2 ways. I look for the ones in a Table. I also look for the ones that are not in a Table. The code I have finds and captures all of the data I need for the Table. I need help with the "TBD"s that are NOT in a Table. When A TBD that is not in a Table is found, I need to capture the data in the Style Header 1 or Style Header 2 or Style Header 3 or Style Header 4, etc. Whichever Style Header that is above that TBD needs to be found. When it is found, I need to capture that data in a variable. Please see the Sample Attachment. 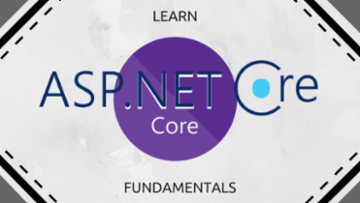 I am running this code from MS Access. When the data is captured, it will added to an MS Access Table one at a time. I have that code and it is working. Now a few things. This is the big picture of what I need. I don't need an Array. I need to find and capture them one at a time. When TBD is found, somehow mark that location. Capture the data of the Style Header above that TBD in a variable. When the data of the Style Header is captured, I need to go back to the TBD that was found so the search for the next TBD starts there. How do I compose an IF or IIF condition in MS Access that executes only if a value in a control starts with a letter? I have an Access front end and SQL back end. I have a form that has a web browser on it. The web browser points to a particular control named txtFunctionalLocation to complete the Control Source's URL . This web browser is kept hidden on the form by an On Open event. However, once the cboFacilitySearchcombo box is utilized to search for a particular project, it activates the macro below to make the Web Browser control visible. The problem I have is that sometimes there's an invalid (placeholder) in the txtFunctionalLocation control box that causes errors in the web browser control. The error comes from an invalid URL. The place holder in this position is a numeric integer. The real Functional Location value will always start with "X" (or possibly some other letter in the distant future). 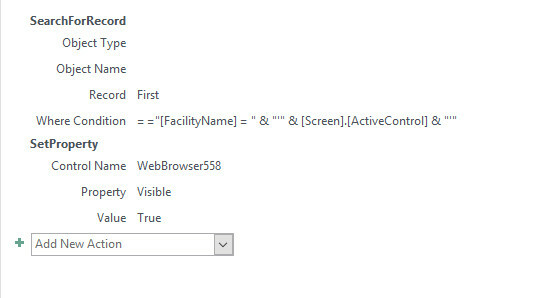 I need to figure out how to convert the macro pasted above into a VBA code to carry the same functions but only make the web browser control visible if the txtFunctionalLocation control has a value starting with "X" (or any letter). The "X" is usually followed by a series of numbers. https://support.office.com/en-us/article/use-like-criterion-to-locate-data-65b07c8a-b314-435a-8b48-2b911856d4f9 and was thinking of maybe [!0-9]* but I'm not sure if it would be correct and how to structure the VBA with everything. a the Cell in row Corresponding to Value given in cell $L$2 above (i.e., PrintSr) Column C on sheet RangeNo in MyRange is Marked "Yes"
e.g., if we Press "Print the Slip", then the Cell C8 on Sheet RangeNo corresponding to serial number 7 in Column A is Marked "Yes"
Access login to Web-Page with user name and password. Re-Coding due to target html has changed. My customer has changed their portal login page and my download code no longer works. I think the only change was the actual home login page. I'm trying to re-code this in order to have Access login and Navigate to some data that I download daily. The target webpage recently re-wrote their login page. Therefore, my login system no longer works. I think the back-end is still good. It's just the login that has me messed up. I removed most of it. I'm only listing the code where my variables are not transferring to the target web-page. 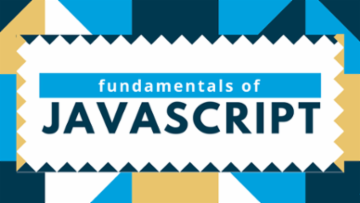 'Assign the user inputs to variables that will be used in the Web application. I have an Office VBA add-in that's causing a problem with one issolated user amongst many others that are not experiencing the the same issue. I've issolated it to the Windows API Sleep function. "453 Can't find DLL entry point Sleep in kernel32"
What can I do now to establish the cause of the issue and fix it? I am running a macro that splits data and add rows etc. What I would like to do now is get one cell to equal another. I want the user to click on a cell (so this will be the active cell) and the macro goes to the bottom row and the active cell will equal this. I hope this makes sense. Please let me know if I can explain anything further. 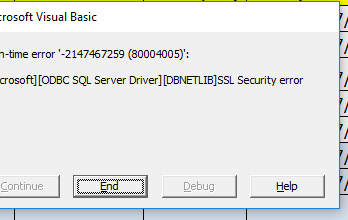 Since today I have the following error message after execution of a vba procedure which use ADODB.Connection. MsgBox "SQL query reported at row " & rw & "  is not properly set up unable to transfer  data." Any change has been performed from my side. Do you have advice on this? I have enabled a Incident report on Transport Rules in Exchange 2016. It sends a below information to specific mailbox. I would like to get this as report in Csv format. where the below mentioned headings as colums. Is it possible? I already tried the Search-Mailbox -logonly option, but it does not show the below information in csv. This email was automatically generated by the Generate Incident Report action. Is there any way where we can copy the values during vlookup and paste them in a location and makes the values exist even when the reference sheet gets deleted. I have a piece of VBA code which deletes multiple rows on a worksheet depending on if the values on each row are TRUE or FALSE in a specific column (a 'conrtol range'). The worksheets as switched as a master loop (above the level of this function) that cycles through multiple sheets and workbooks. Naturally the code searches for matching rows and builds up a range object and only once the loop has ended is that rage deleted. I can't send a copy of the actual workbook because it is too large, too complicated and I don't have time to explain how it works - besides it is confidential. I have listed below an extract of the key code that is failing (with the command that fails in bold). Sometimes this code works and sometimes it does not. I have put various debugging in the code and can confirm that the code always finds the target rows ('rngRowsToDelete ' in the extract above) and always builds up the range object correctly. HOWEVER ... sometimes the delete works and sometimes it does not - even though it it run against the same worksheet. No error is generated. Has anyone come across a similar situation / have any thoughts ? Please be gentle, I'm learning and I haven't worked with RecordSets and there are likely to be a number of "concerns" regarding the following code! My learning issue is that I have a Word userform and I'm accessing an Excel spreadsheet that has 4 rows. I CAN search and return records on Field 1 (the number) but not Fields 2 or 3. This might be something to do with how the record set is handling rows or fields but I don't understand what is happening at "search time" that works fine on Field 1 but not Fields 2 and 3. A couple of pointers to get me going again would be appreciated - I'm stuck!
' Connecting to an Excel Dataset using ADODB. sDataSource = sDataSource & ";Extended Properties = 'Excel 12.0 Xml;HDR=Yes;IMEX=1';"
Another search question I have this form that I need to extract certain data based on the headers. So the criteria is I need to search from A:AY for "6. File Number" there is data after I need that data in sheet4.a1. then I need to search for "Address of Borrower" and copy the data after thatn in sheet.b1. I have data in cell A47, that has a parenthesis at the end. I need to extract just the numbers and leave out the ")"
Example is 77,965.52) I need a formula to give me 77,965.52. Hi Experts, I copied a code from net and the code is able to obtain Hard Drive Serial number in Windows 10 but not in Windows Xp. Is there anyone who can help me using the code below to get the HDD S/N in Windows Xp? Any help please... thanks! I would like to add 3 additional worksheets to that workbook, names worksheet_1. worksheet_2, and worksheet_3. What would be ms vba code? I have a macro I adapted from another question on Experts Exchange (https://www.experts-exchange.com/questions/27585165/Microsoft-Word-Macro-to-Find-Copy-and-Paste-Text-with-Specific-Style-to-a-new-Document.html) that I am trying to enhance. The idea was to convert the numbers to text to preserve them in the output document but revert to their dynamic state in the source document (this macro would be a great tool to check to see where the list numbering is off wherever it occurs in the document). The macro also goes into an endless loop when entering ‘Body Text’, ‘Body Text 2’, ‘List Number’, List Number 2, but not ‘Body Text 3’, ‘List Number 3’ (of those I tested). I added a counter to catch the endless loop at some point and display a message box to that effect, but I don’t understand why the macro does this on some styles and not on others. Can someone help prevent the endless loop and get the macro to properly include the numbering when the style contains numbering? I doubt you can help but it can't hurt. Whenever I create a column chart in Powerpoint the labels are positioned well but as soon as I change the chart type to 3D the labels are too low and you can't read them. I normally have to manually click on and move each label above each column, which is a nightmare when I have twenty of them. Any solutions you can think of? Ideally I'd love to use VBA but I don't think you can use it on charts. Hi, I would like to send email via lotus notes using access vba. It works well but I need help to insert a html or .jpg signature in the mail. Could you please help me with access vba code?